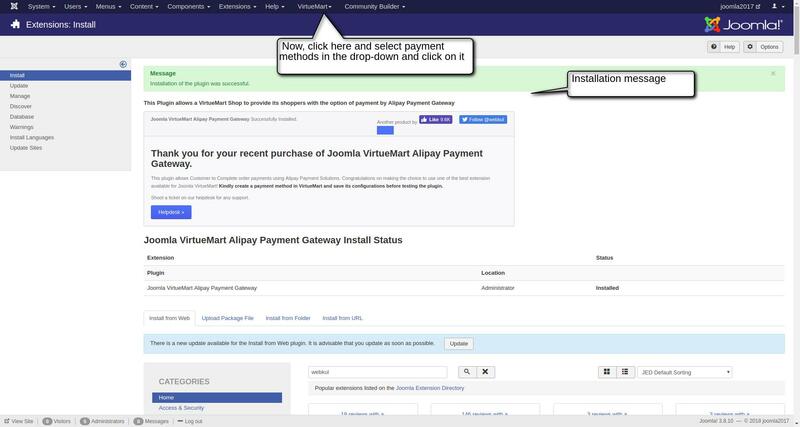 Joomla VirtueMart Alipay payment gateway is a VirtueMart payment addon. 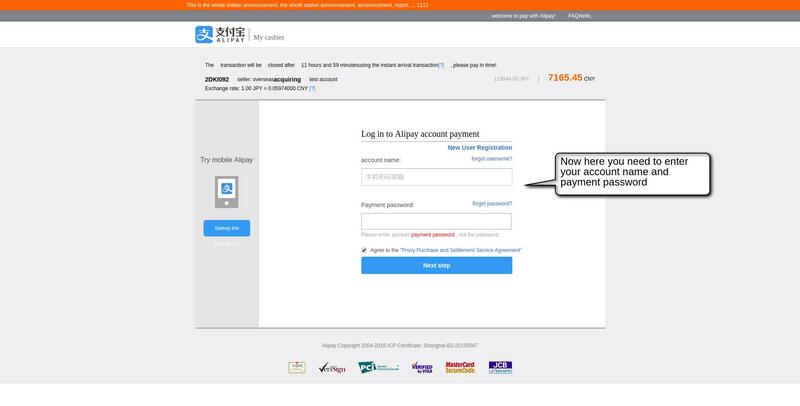 This extension provides payment using “Alipay” which is a Chinese online payment solution established by Alibaba group. It can be used by all VirtueMart store owners to provide a simple and secure payment gateway to their buyers. 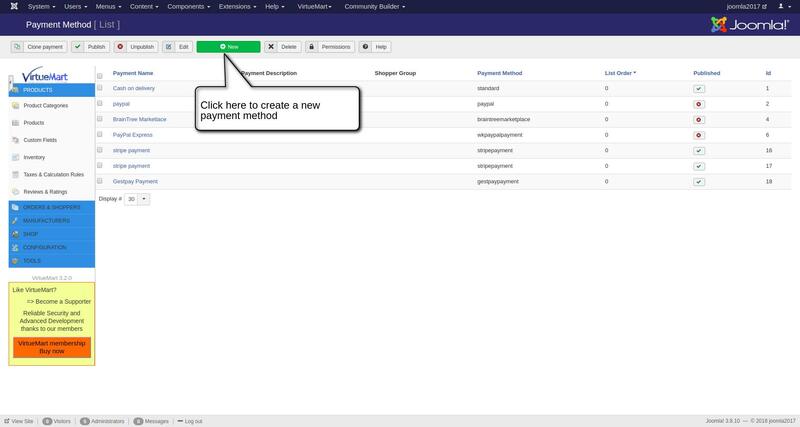 The payment gateway includes sandbox and production mode. It supports various currencies globally. 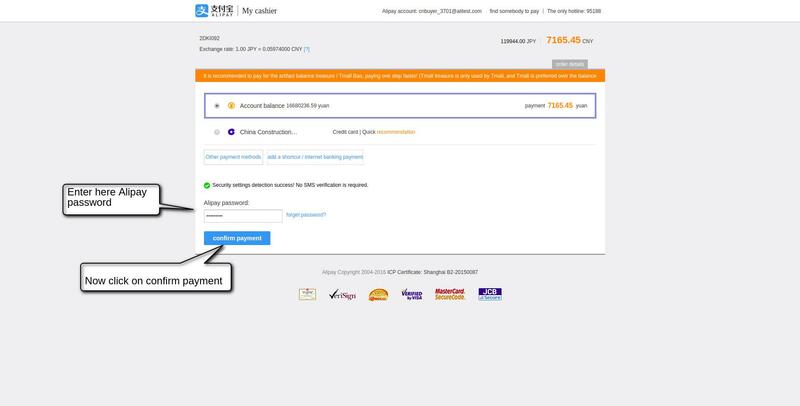 Basic payment feature which includes online payment and transactions using Alipay. Provided both test and live mode for testing of the plug-in. 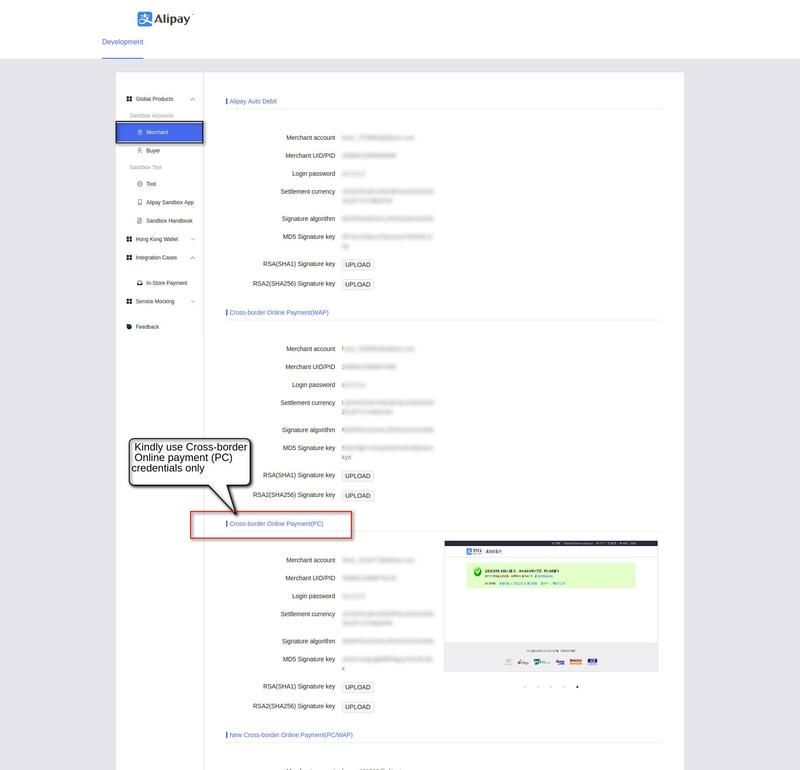 Provide an option for admin to set minimum and a maximum amount of an order for a transaction. Admin can set currency in which he wants the payment to be done. 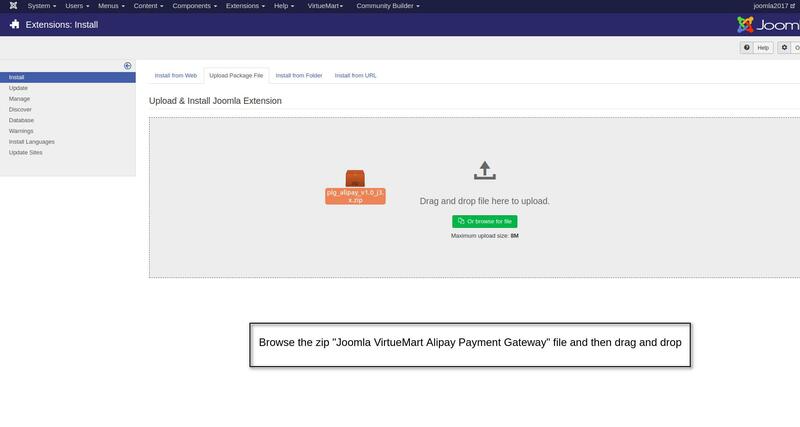 Browse the ‘ Joomla VirtueMart Alipay Payment Gateway’ zip file and then drag and drop. 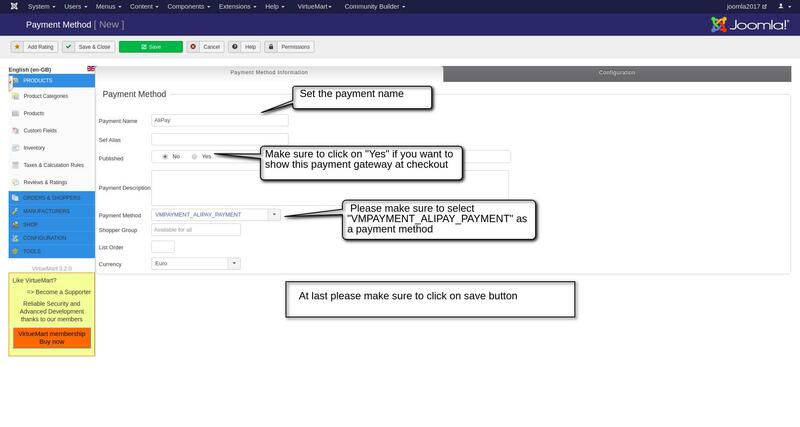 Installation message- Now, click on VirtueMart and go to the payment methods in the drop-down and click on it. Important Note: To get the test details a merchant has to use credentials mentioned under “cross-border online payment(PC)” only. 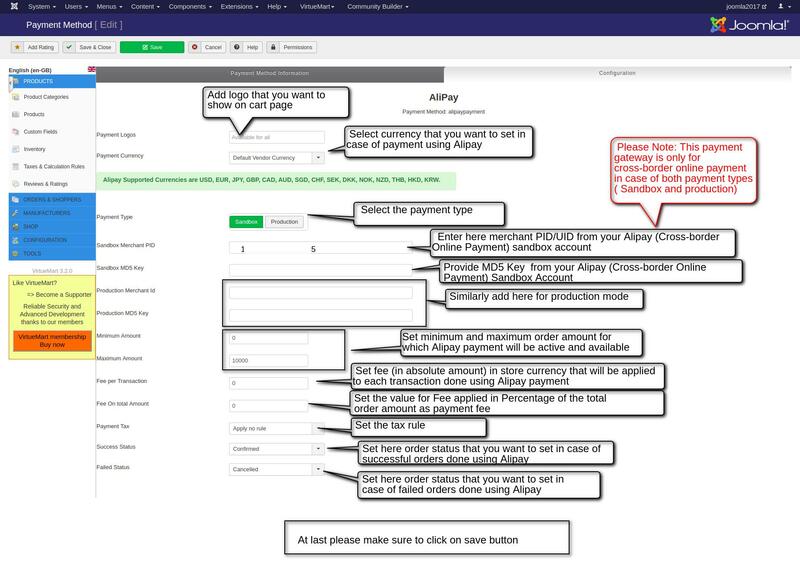 Similarly, the details for a test buyer is also mentioned under Buyer tab. So, a marchant and a buyer have to open their account first. 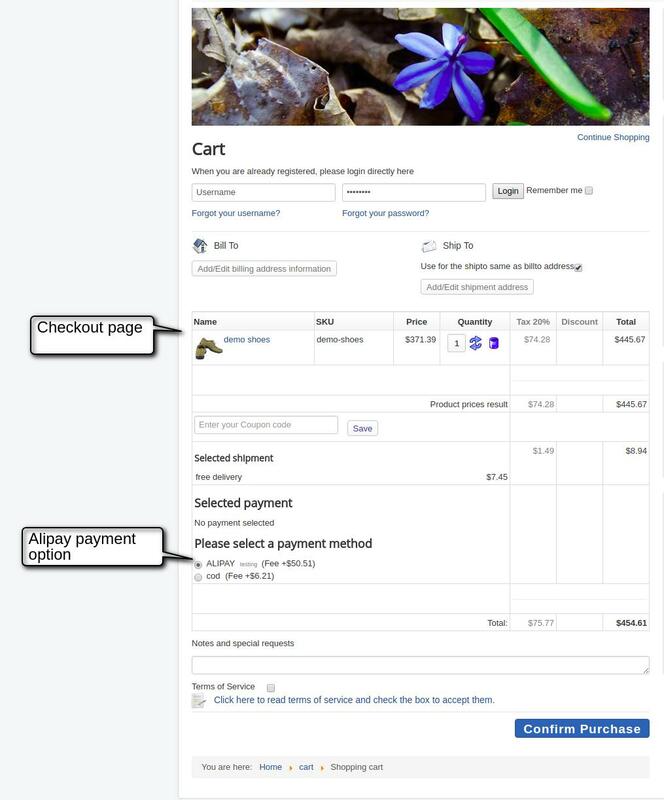 Here is the front end view, a buyer while purchasing from your store can make payment through Alipay payment gateway also. 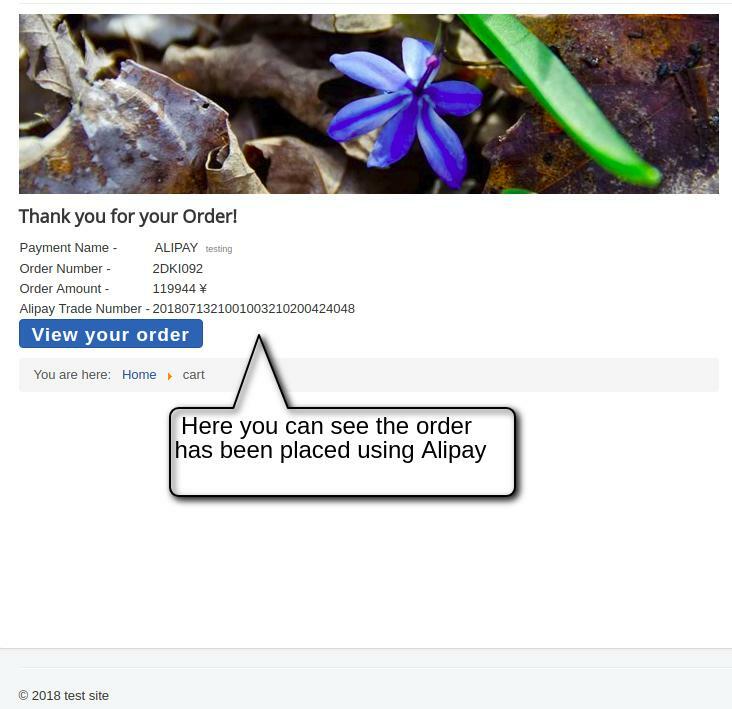 After payment confirmation at Alipay end buyer will be redirected to your store at order confirmation page.